Blog Do Carrots Improve Eyesight? Ever since grade school, we have been told that carrots improve your eyesight. But as we grow up, we start to question whether this is true. One question asked by most adults who have eye problems is the link between carrots and eyesight. Do carrots improve eyesight? Or is it simply a childhood myth crafted to encourage children to eat vegetables? 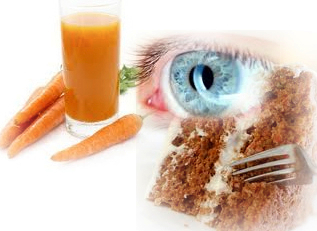 Carrot juice, carrot cake, raw carrots – do carrots really improve eyesight? Or is it just another old wive’s tale? It is actually interesting to note that there are varying answers to this question based on several research studies that have tested a carrot’s ability to improve vision, as well as different statements by authoritarian figures. The belief that carrots can help improve eyesight stems way back from the Middle Ages, when they were thought to be a panacea for a whole plethora of illnesses, from snake bites to sexually transmitted diseases. However, it was only during World War II that its benefits to the eyes were bought into focus when the British Royal Air Force claimed that carrots were improving their night vision. Hence, a lot of British people started including more carrots in their diet, in the hope to see better in the blackouts that plagued the British Isles during those dark times. It was later discovered that the carrot story was only part of a British propaganda used to conceal the fact that the Air Force was using radar at night to locate bombers. Although this story hyped up the value of carrots more than it deserved, it still does not change the fact that carrots do contain eye health vitamins that can help a person achieve better vision. So how exactly do carrots improve eyesight? Carrots contain a nutrient known as beta-carotene, which is a precursor to vitamin A. Vitamin A is very important in maintaining good vision, since lack of it will lead to blindness. In fact, vitamin A deficiency remains to be one of the leading causes of blindness in the world. Also, a lot of other eye problems can stem from lack of vitamin A, such as xerophthalmia or dry eyes, cataracts, and macular degeneration. Beta-carotene can be found not just in carrots, but in most yellow and orange fruits and vegetables as well, such as squash, mango, and cantaloupe. Aside from these, dairy products and egg yolks are also rich in beta-carotene. Another property that carrots contain is lutein, which is an antioxidant that is very much associated in the prevention of age-related macular degeneration. It protects your retina by increasing the pigment density in the macula, and in effect preventing macular degeneration from developing. Lutein can also be found in leafy and dark green vegetables. 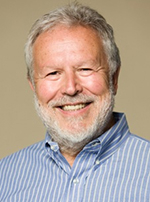 An Australian study in the 1990s examined the connection between increased vitamin A intake in the diet and deteriorating night vision among elderly people. In this study, the participants were asked to include more carrots in their diet. However, no amount of carrots was able to improve their vision. According to Prof. Algis Vingrys of the University of Melbourne, even if you eat a lot of carrots, it will not significantly improve your eyesight if you do not have a deficiency in vitamin A in the first place. Carrots can only help improve your vision if the main reason behind your eye problem is a deficiency in Vitamin A, since carrots are good sources of this vitamin. If your vision problems stem from factors other than Vitamin A deficiency, then carrots can do little or nothing about it. For example, in age-related vision deterioration, the problem is not a lack of Vitamin A, so vision will not significantly improve no matter how many carrots you eat. You should in this case, resort to other forms of ocular nutrition. But then, you can take carrots if you want to prevent eye deterioration and illnesses later in life. A study in Tufts University in 2008 for women between the ages of 50 and 79 showed that women who consumed lutein and beta-carotene in their diets were less likely to develop age-associated eye problems, such as macular degeneration and cataracts. Carrots help lower the risk of developing eye problems and generally promote good vision health, so including them in your diet is still very important if you want to maintain good visual acuity. It is definitely better for you to have carrots instead of vitamin A supplements. Carrots are safer, healthier, more beneficial to your eyesight, and have no side-effects. The beta-carotene in carrots is only converted to vitamin A if your body needs it. It is however, still possible to overdose yourself on carrots. Rather than have a diet consisting solely of carrots, it is better to have carrots as part of a balanced diet. You can of course take vitamin A supplements if you find it difficult to implement carrots into your diet. There are however, some severe consequences on overdosing with vitamin A, especially if you are pregnant, so be sure to see your doctor first. Conclusion: Do Carrots Improve Eyesight? So the answer to the question – does eating carrots improve your eyesight? Is yes and no. Carrots will help naturally improve eyesight for those who are vitamin A deficient. What carrots will do for everyone however, is help to prevent deterioration of your eyesight as you get older. To learn more about how you can improve eyesight naturally using dietary tactics and special eye exercises, click here to visit How To Improve Eyesight Naturally.